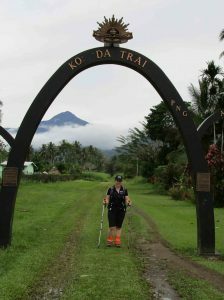 Nikki Moyes trekked the Kokoda Track with Back Track Adventures in 2017 (Team 1 and 2). This extract is from her book ‘Kokoda Trek: 75th Anniversary’ and gives the full story of her ten-day journey. Martin’s rooster impersonation woke us at five am. He’d obviously practiced it on many occasions, however the village roosters took objection to it and attempted to out-crow him. As I fumbled in the dark for my torch, the porters began singing a beautiful melody from their hut. I couldn’t make out the words, but they were quite talented singers. I packed my belongings by torch light and temporarily lost my camera in the process, making me one of the last to reach the dining hut for breakfast. We had a big pot of water for making tea, coffee, or milo, a pot of porridge, cereal, and bananas. I didn’t normally eat porridge, but I poured honey on top and ate it while the porters packed up our tents. Nicole announced a change to her toilet ranking system as her current one didn’t hold up to Kokoda Track conditions. Now there was a star for; a door, a toilet (as opposed to a hole in the ground), a toilet seat, toilet paper, and somewhere to wash hands. Mist had settled around us giving the morning an eerie feeling. We shouldered our packs and waited for the whole team to be ready. As we’d been rushed yesterday due to the delayed flight, Martin arranged for us to officially meet all the trekking crew before we set off for the day. We made a line and the boys filed passed us pausing to shake our hands and say their name. The trekking crew consisted of 20 boys, including leader Vicko and 10 personal porters. The rest carried the trek supplies and would also keep an eye on the three trekkers who elected to carry a full pack and therefore didn’t have a personal porter.  I worked out that my porter, Ben, always wore a white, blue, and red hat, which made it easier for me to pick him out quickly from the rest of the group all wearing blue Back Track Adventures shirts. Around 6:30 am Vicko started the ‘are we ready’ call and we set off. I fell in behind Vicko, with Rachael behind me. The porters slotted in between, ready to grab us if we slipped on the wet ground. Vicko had a smaller pack than the other porters, but his had a large coil of blue rope hanging off the back and I wondered if it was to rescue us if we fell off the edge of the track. Ben walked bare foot that day. The track was single file and for the first hour, we climbed about 300 metres in altitude. Vicko paused every twenty minutes or so for us to rest our burning calves and drink some water. The back of the group caught up, generally only about five minutes behind the rest of us at each stop. We were hot from climbing, but the mist hung around keeping the tropical jungle temperature bearable. Vicko strolled slowly ahead of us like he was out for a walk with small children who wouldn’t be able to keep up if he walked at a normal speed. 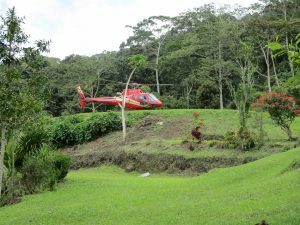 After an hour and a half we emerged from the thick jungle and clouds, over a small rise and entered a large sunny clearing with carefully mown lawns. The area was Deniki village campsite. It had an open dining hut and a raised-floor hut, as well as two small huts for the long drops. The village houses were on a different levelled clearing and we didn’t go near them. The sunny clearing opened out to views of the surrounding mountains. 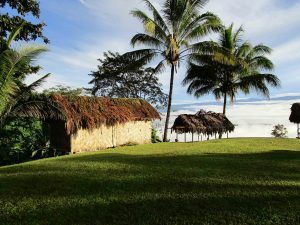 On a clear day, Kokoda and its tiny airstrip could be seen, but that morning cloud blanketed the valley. 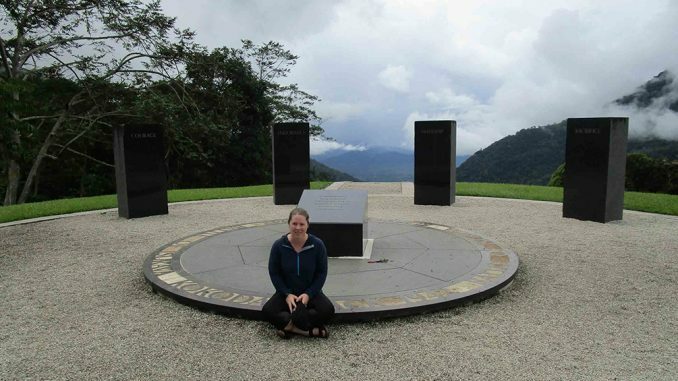 At Deniki, where in 1942 the heavily outnumbered Australians withdrew when they could no longer hold the Kokoda airstrip from the advancing Japanese, I had my first profound moment of the trek. I repeated this to everyone in hearing until they edged away under the pretence of taking photos of the spectacular views. I was aware that we still had another seven hours walking ahead of us for the day, but in that moment I felt like I could achieve anything. The whoop whoop sound of a helicopter interrupted my moment. The red bird circled overhead before coming down to rest just out of eyesight on another plateau below us. The porters ran to have a look at it land, while a lone man and his porter, who were in the dining hut when we arrived, made their way down also. Those of us who had read or watched ‘The Hunger Games’, nodded along in agreement as we witnessed our first evacuation from the track. Read the full story. 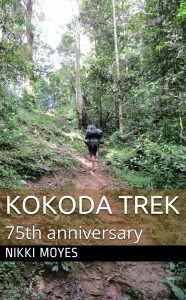 Nikki’s book ‘Kokoda Trek: 75th Anniversary’ is available in ebook and paperback from major online bookstores. It includes photos and translated Japanese war documents. Nikki also writes Young Adult fiction and her first book, ‘If I Wake’ was published in 2016. She was born in Victoria and has moved around Australia amassing an eclectic range of occupations including tallship watch leader, apiarist, rose farm hand, and sandwich artist.